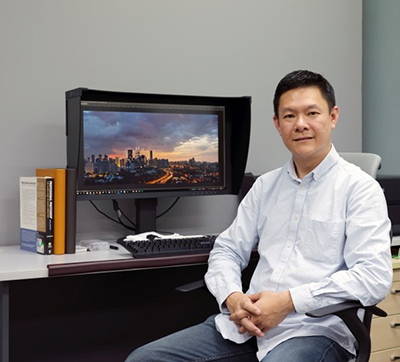 Wesley is quick to affirm the importance of having an accurate viewing reference in the workflow because it brings the image to ‘light’, enabling him to evaluate critical features like image quality, color rendition, contrast and luminance. "Without an accurate reference monitor," he adds, "post production editing is rather futile, particularly if the intended output is a print. We do not see an image until it is viewed on a monitor, and we cannot see a print until it is printed."